Happy Humpday! 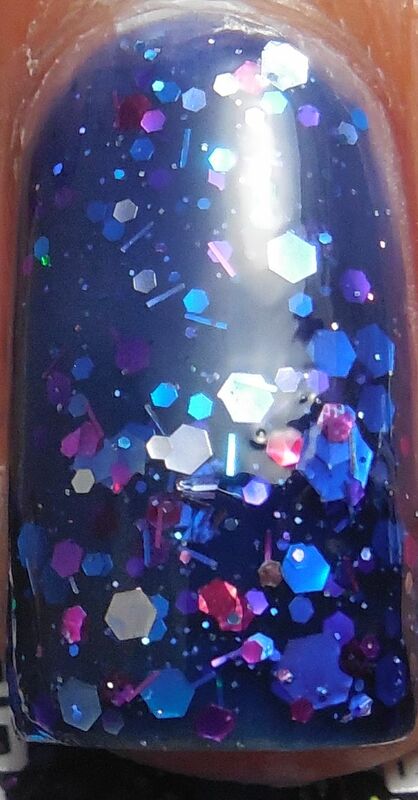 Sticking with blue jellies, I have KBShimmer's Hex Appeal, a gorgeous deep blue jelly with multicolored and varying sized hex glitters. There's a fun mix of pink, silver, blue, and fuchsia glitters to give bright pops of colors from different angles. Oh! And there's cute mini bar glitters in there too! I love bar glitter like this because they don't drag straight towards the tips and fall in different directions on the nails. I used four coats for this mani and had no problems with glitter drag or clumping. I finished with a layer of Gelous to smooth the surface and Poshe to add shine and hasten drying. 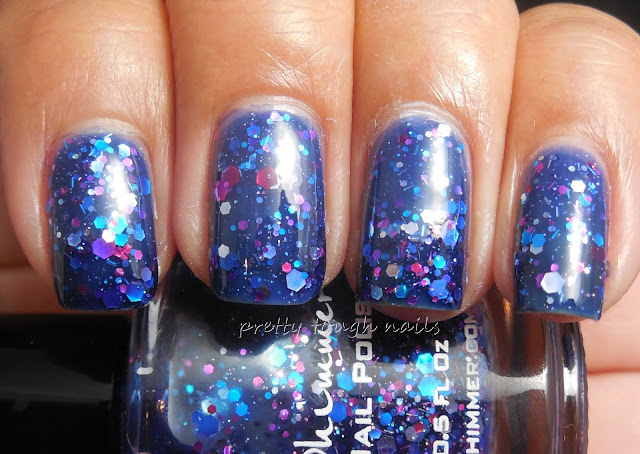 Buy all the squishy blue jelly glitter polishes!! I love the shades of pink glitters against the blue base, and the jelly has a ton of depth when packed with all that glitter. KBShimmer had a stroke of genius when they come up with this color combination! I'm looking forward to the fall releases that KBShimmer is putting out but I haven't purchased any... yet! Are there any that you've been eyeing? Yes, buy all the jellies! This one is a beauty!